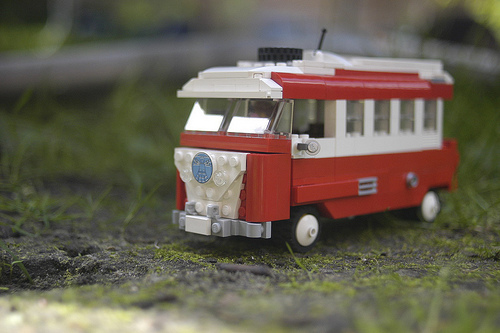 This eight-wide VW Van by Ed (Ed Bricks) had me smiling from the moment I saw it. Complete with a caravan in tow, this little beauty makes me want to throw everything in the Van and head north to Lancashire on the M6 for a long weekend. Check out Ed’s photostream on Flickr for tons more pictures of his LEGO VW Van, including shots of the fully detailed underside. I think you’re far more likely to have a good time driving to Canada than you are Lancashire.